The carpet, fabric or tile is fully inspected to identify fiber type as well as potential challenges, to optimize results. A solution is applied that loosens and suspends particulate soil and spots for easier removal. Some spots require special care. We carry a wide variety of solutions for specific spots. Our extraction system is among the most powerful and advanced on the market, producing constant heat over 230° Fahrenheit. We balance the pH of our final rinse so that the carpet is free of residue. Not doing so causes the fibers to attract soil unnaturally. 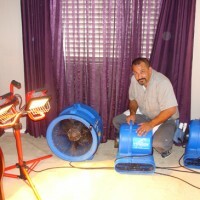 We use high velocity air movers, so the carpet can dry as quickly as possible. 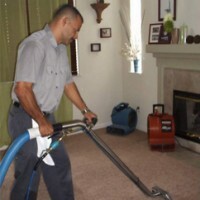 We brush the pile after cleaning, so that it dries and cures in the proper direction. 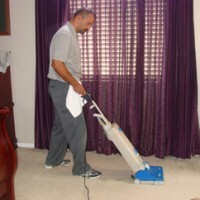 A thorough walk-through is done to ensure a proper cleaning job. Most importantly, I clean each and every job myself, because I feel that every job is a self portrait and I autograph my work with excellence every time I go into somebody’s home. That’s why I will not leave a house until I’m proud of the work I’ve done.